1. We, the Finance Ministers and Central Bank Governors of ASEAN, convened the 5th Joint Meeting of the ASEAN Finance Ministers and Central Bank Governors in Chiang Rai, Thailand on 5 April 2019 under the co-chairmanship of Mr. Apisak Tantivorawong, Minister of Finance of the Kingdom of Thailand, and Mr. Veerathai Santiprabhob,Governor of the Bank of Thailand. 2. We reiterate our commitment to the pursuit of an integrated ASEAN to support economic growth and strengthen financial stability in the region amidst heightened uncertainties arising from trade tensions and policy adjustments of advanced economies. 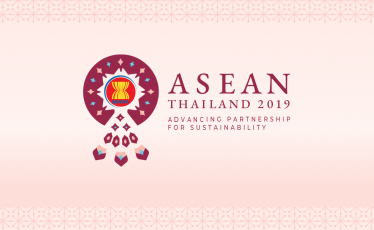 We welcome Thailand’s theme of Advancing Partnership for Sustainability and its goal of achieving this through inclusive and sustainable growth. We also underscore the importance of the Chair’s proposed initiatives to enhance connectivity, sustainability and resilience as key pillars of strengthening financial cooperation this year. 8. We note our Deputies’ endorsement of the revised Terms of Reference for the Working Committee on Financial Services Liberalisation (WC-FSL) to streamline the WC-FSL’s operations and remain relevant to the strategic objectives of the AEC Blueprint 2025 and the principle of ASEAN Centrality. 9. We reiterate our commitment to strengthening ASEAN’s partnerships with regional partners. We aim to conclude the Financial Services Annex of the Regional Comprehensive Economic Partnership (RCEP) negotiations by the end of 2019. 11. We welcome the strengthened policy dialogue and information exchange mechanism on capital flow trends and safeguard measures among AMS, as well as the publication of the policy paper on “Capital Account Safeguard Measures in the ASEAN Context”1. The paper reflects ASEAN’s collective views on capital account safeguard measures and highlighted the importance of sufficient policy space in preserving economic and financial stability. 13. We welcome the efforts of the ASEAN Forum on Taxation (AFT) to complete the bilateral networks of Avoidance of Double Taxation Agreements (DTAs) among AMS and to improve the implementation of Exchange of Information (EOI) for tax purposes in accordance with international EOI standards. We welcome the Study on ASEAN Interest Withholding Tax Structure and encourage the AFT to further enhance the withholding tax structure among AMS as well as to promote the broadening of the investor base in ASEAN debt issuances. We look forward to AFT discussing an action plan accordingly. We also welcome the AFT’s initiative on developing a Standardised Certificate of Residence (CoR) in ASEAN, which would efficiently facilitate tax treaty benefit claims among members. 15. We welcome the launch of the ASEAN Capital Markets Forum (ACMF) Pass, which came into effect on 1 January 2019, to facilitate cross-border movement of investment advisers. We also welcome the Memorandum of Understanding (MoU) on cross-border publication of research reports and are pleased with ACMF’s efforts in engaging the private sector through the ACMF Industry Consultative Panels to ensure the commercial viability of ACMF’s initiatives. 18. We reaffirm our commitment to accelerate infrastructure development and financing in ASEAN through the mobilisation of private capital. Towards this end, we note the ASEAN Infrastructure Fund (AIF)’s two innovative windows: (i) Inclusive Finance Facility, which would offer limited concessional loans to Cambodia, Myanmar and Lao PDR and (ii) ASEAN Catalytic Green Finance Facility (ACGF), which can help catalyse private sector financing into regional infrastructure projects. 20. 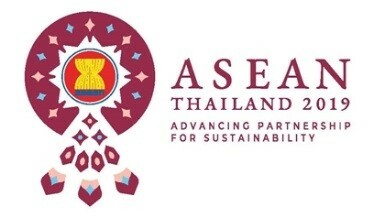 We acknowledge the success of the ASEAN Workshop on Innovative Financing Approaches for Sustainable Infrastructure on 11 February 2019, co-hosted by the Ministry of Finance of the Kingdom of Thailand and the Asian Development Bank. We encourage the WC-CMD and the ACMF to explore experts’ recommendations from the Workshop, particularly on new financing approaches and how to promote innovative and sustainable infrastructure financing in the region. 22. We endorse the initiative of the ACMF to create the Roadmap for ASEAN Sustainable Capital Markets and support its future implementation. The Roadmap will provide a common vision and comprehensive direction to strengthen ASEAN’s commitment on promoting an ecosystem for sustainable capital market development. 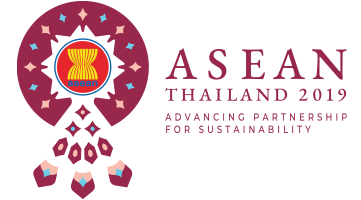 We also appreciate the ACMF’s efforts to promote sustainable capital markets through the initiative on ASEAN standards on sustainable financing with the adoption of the ASEAN Green, Social and Sustainability Bond Standards. 23. We are pleased with the progress of WC-CMD’s efforts to promote sustainable financing, and welcome the adoption of the ASEAN standards on sustainable financing through collaboration with the ACMF. We welcome the efforts of the WC-CMD in developing a report on sustainable financing in ASEAN, which specifies an action plan to promote green, social and sustainability bond issuances using the ASEAN Green, Social, and Sustainability Bond Standards. We look forward to the completion of the report, which will be presented at the next AFMGM for endorsement. We urge financial institutions in each AMS to incorporate Environmental-Social-Governance (ESG) considerations into their business strategy. 24. We recognise the important role that banks play in the allocation of resources. Banks’ intermediation has helped promote growth and stability for ASEAN economies. To ensure long term growth of ASEAN economies, it is important that financial resources be directed to the most productive and sustainable uses. ASEAN’s banking community, henceforth, aspires to play a significant role in this process to achieve a sustainable ASEAN. 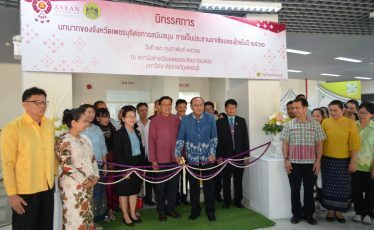 In this regard, we welcome the authorities’ efforts to conduct a study on promoting sustainable finance and encourage the banking community of ASEAN to gradually adopt the principles of sustainable finance into business practices. 25. We welcome the achievements of the Working Committee on Financial Inclusion (WCFINC) in significantly moving towards the desired outcome of more financial inclusion in the region and the presence of enabling regulations and infrastructure. 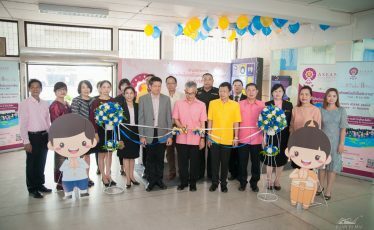 The publication of the Guidance Notes on Digital Financial Services (DFS) and the Guidance Notes on Financial Education and Consumer Protection (FCEP) early this year recognise that technology is a strategic enabler of financial inclusion and should be implemented with the consideration of consumer protection. We urge the WC-FINC to continue working on knowledge sharing and capacity building on E-payments and Fintech, among others. We also encourage the WC-FINC to build a closer collaboration with the private sector to facilitate effective and innovative financial technology solutions that can support meaningful financial inclusion. We also look forward to the development of Guidance Notes on Monitoring Financial Inclusion Framework. 26. We are committed to promoting the development of insurance products and literacy to increase the level of insurance inclusion and penetration in the region. We welcome the efforts of ASEAN Insurance Regulators’ Meeting (AIRM) in advancing initiatives to support AMS in enhancing insurance awareness and closing the gap for people who are excluded from mainstream commercial and social insurance schemes, as well as mitigating risks for the vulnerable people such as developing a Framework for Microinsurance Product. 27. We endorse the Phase 2 Plan of Action of the ASEAN Disaster Risk Financing and Insurance (ADRFI) that would support the provision of disaster risk financing and insurance solutions in the region. We also acknowledged that five AMS and Japan, together with the World Bank as Lead Advisor, signed the MoU to collaborate in setting-up and implementing the Southeast Asia Disaster Risk Insurance Facility (SEADRIF). The two initiatives complement each other and play an integral part in closing ASEAN’s protection gap and reinforcing ASEAN’s disaster resilience.